Is Your Home “Making” You Spend Money? There are many reasons people spend money — even money they don’t have. J. Money offers helpful budgeting and finance tips here on his blog. But if you’ve been following his advice and still can’t seem to attract wealth into your life — there could be other factors at play. Feng Shui is an ancient eastern art and science that helps people harness the chi (life energy) of their living environment to help them achieve their goals and live a more fulfilling life. Unfortunate home layouts, floor plans that prevent chi from moving smoothly through a space, “missing” areas of your home and other “Feng Shui don’ts” may contribute to your financial issues. The Universe is energy (chi). We are energy. Even money — and the things money can buy — is made up of energy. By making sure all the energy in your space is aligned to work together, you’ll see greater success in all areas of your life. Let’s look at some common factors in people’s homes that may be blocking their financial success. Do any of these situations sound like your house or apartment? Staircase leading directly to your home’s main entrance – A tall, narrow staircase that begins at your entryway causes chi to rush out of your house rapidly — and with it, your opportunities for income and, quite often, your cash. If you find yourself spending money beyond your means, getting hit with emergency expenses regularly, and if money leaves your hands as quickly as it enters, the staircase could be contributing to the problems.To slow the flow of chi down the staircase, hang wind chimes from the ceiling at the bottom of the stairs, between the staircase and your front door. 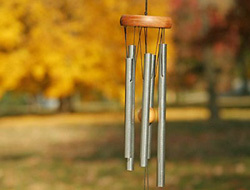 The best wind chimes have five tubes, representing the five elements in Feng Shui. Bathroom in clear view of entryway – If your bathroom is in the clear view of your entryway, you may experience wasteful spending. Your money may literally get “flushed down the toilet.” Keep your bathroom door closed, and hang an octagonal mirror on the bathroom door to deflect the chi. Dirty/unused stove – Your stove, along with your home’s entryway and your master bedroom, is one of three most important areas of your home, according to Feng Shui principles. Your stove represents your wealth, career, and how people view you in the world. If your stove is dirty, broken, or you don’t use it frequently, you may find your career and income adversely affected.Keep your stove clean, and make an attempt to use all four burners regularly — even if you’re only boiling water. You can also place a mirror behind and to the side of your stove, in order to “multiply” your wealth. Missing “wealth corner” – Feng Shui consultants use a plan called a “ba gua,” which divides your home into nine separate sections. If you lay out the ba gua over your home’s floor plan, the wealth corner will be in the left back corner if you are standing at the doorway and looking into the room. If chi can’t flow freely through this corner — or if this area of the room is cluttered or missing — it can lead to money problems. Placing a water element, such as a small fountain or a fish tank with live fish, in this corner will encourage the flow of chi and help improve your financial situation. Feng Shui consultants use a combination of practical means and Feng Shui cures to help clients improve their situation. Mindful spending and following the principles outlined by J. Money on this site, combined with following these easy Feng Shui tips, can help you improve your financial situation. Ken Lauher advises individuals, businesses and organizations on how to implement practical Feng Shui solutions to help them achieve their goals & live a more fulfilling life. To learn more about Ken, to schedule a Feng Shui consultation or to download a free guide to Feng Shui secrets, please visit www.kenlauher.com. in asian countries feng shui is taken very seriously as it could mean make or break for business. it is actually a science of magnetic fields. simple remedies prevents catastrophic problems. the first one is very potent. i heard of a house in singapore who cause the owner to pass away because of this. Seriously? You always have such great posts, what’s with the voodoo garbage you’re hocking today? Maybe after we all feng shui our homes, we can pray to Jesus for money. If he’s broke this month we’ll ask Buddha. The only financially superstitious thing I’ve done in every place I’ve lived is always having iodized salt in the kitchen. My mom told me it’s good luck in the financial sense. Even if you don’t believe the whole philosophy, there are definitely some principles that should make sense to anyone. For example, Feng Shui focuses on lack of clutter. Chances are that the more organized your financial life is, the more control you have over it and the better off you are. And Feng Shui’s emphasis on balancing out the elements can be applied to any facet of your life. It’s shocking to see this kind of a post here. Show me one shred of evidence that any of this works. Spoiler alert: you can’t, because there isn’t any. Though some of it is a little kooky, I think over all Feng Shui serves as a subconscious reminder regarding money, success, career, etc. I put a purple flowering plant in our wealth corner. I have to water it in order for it to stay alive, and every time I do it is a reminder to tend to my money life too. I’m all about subconscious reminders…Lord knows my conscious brain is full enough as it is. What exactly is so shocking about Feng Shui being mentioned here? Feng Shui works for people because they BELIEVE in it with their whole hearts and souls. Isn’t that what all this about anyway. Aren’t we taught from a very early age on that if you believe hard enough anything is possible. 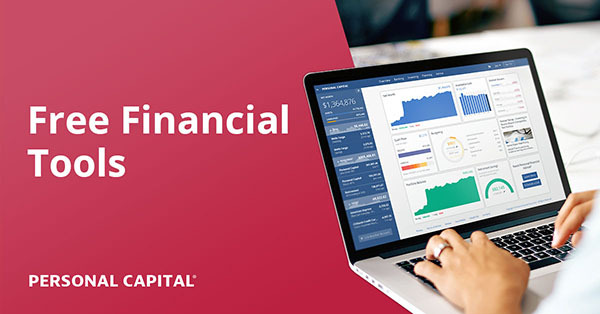 We are reading this blog because we believe in so many areas and aspects of our financial lives and we want to learn more and share more with others. I think Feng Shui is just another ‘analogy’ of how we can be in control over our lives instead of our lives controlling us. Plus its a great change from all the posts that are going around blogs now a days that are saying the same things over and over. The first time you hear something, it’s great..after that- it’s just a bunch of echos… Thanks for mixing it up today! unfortunately, there’s nothing she can do about the narrow, steep staircase leading up to our apartment (it is communal so NO windchimes allowed), the bathroom in full view of the entryway, the dirty, unused stove (neither of us cook much and HATE cleaning), or the wealth corner, which is in my bedroom (muahahahah) and where I stuck my junky nightstand with all my junk drawers. how can that wealth corner be ‘missing,’ anyway? i don’t get that part. haha, fun post. i didn’t know this stuff. i will talk to my roommate about it. Actually no, I was taught to be honest, work hard and be responsible and sometimes life will let something nice slip through to you. Believing sounds like a fairy tale and is classified as fiction for a reason. There was one good bit of financial advice woven in there; use your stove means cook at home and thats always practical. If you have to wrap that up in a new package to get some people to swallow it, then so be it. So if you are a ‘believer’ of anything or in anything that makes you a fool? I’m sorry that you feel that way and thank God the rest of the world is not subscribing to that. This country was built on the ‘belief’ of people from the beginning of time. Because you ‘believe’ does not mean to sit back on your hands and wait for life to be handed to you. It is all the things that you mentioned and more. To believe is to have ‘faith’ in something. You have the faith that if you are honest, work hard and are responsible then life will reciprocate occasionally (your words not mine). That is not a fairytale nor fiction, that is merely life. You will get out of it about as much as you are willing to put in. The day we all stop ‘believing’ will be the day we will all start slowly dying. Aren’t we all adults here? If you don’t agree with something, that is fine….but there isn’t a good reason to make fun of it. Personally, I thought it was a great post. I have a stairway by my door, and I love the idea of getting windchimes. It isn’t going to hurt anything….so why not try it? I am still trying to figure out the wealth corner….I “think” mine would be by my back door, so a water feature there isn’t practical. But a lot of general principles do make sense in a way. A poorly looked after home has a lot of… Psychological subtlety, for a lack of better wording. I want to thank everyone for taking the time to share your thoughts about Feng Shui and how it may or may not be related to money. I’m not here to convince anyone that they should practice or embrace Feng Shui into their life. Just as you read your revenue and expenses, forecast budgets and make decisions based on patterns over the past, present and future, Feng Shui is about understanding the patterns that people have been learning and studying for the last 2,000 years. When you begin to recognize and understand the impacts of patterns is when you can begin to use that information to make informed decisions. Time and time again I see these patterns and work with individuals, businesses and corporations to achieve their goals and to live a more fulfilling life. I personally attribute Feng Shui to the many blessing that I have in my life today. I have seen my personal income (not from Feng Shui or Feng Shui Consulting) triple since I’ve begun implementing it into my life. I’ve become a much more grounded person, much more productive and healthier overall, which can attribute back to my growth in prosperity. It has also enabled me to not only see opportunities in different aspects of my life but to be able to have the strength, energy and right mindset but to actually act on these opportunities. One of the best lessons that I have learned from Feng Shui is to follow the Chi. Meaning, don’t get in your own way when opportunities open up and present themselves to you. Keep in mind there are many different tools, thoughts, processes, systems and approaches to help you achieve your goals and to live your dreams with Feng Shui being just one of those methods. You should do what you are drawn to and live out the plan. “Keep in mind there are many different tools, thoughts, processes, systems and approaches to help you achieve your goals and to live your dreams” – so true.